Twice a year in spring and autumn, fields of daisies and plateaux of spectacular orchids bloom and perfume the hillsides. 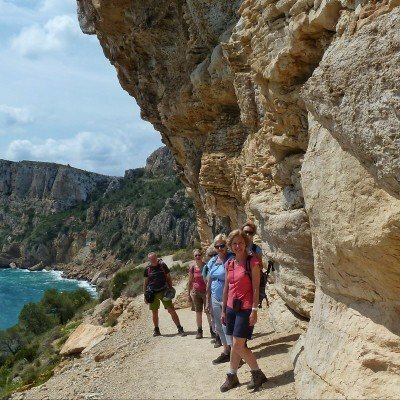 Traditional villages perch on sharp ridges and valley sides, giving visitors a real taste of authentic Spain, just a 20 minute drive from the popular Mediterranean coastline of cliffs and beaches. Just south of Valencia's architectural splendour, the mountains of the high Marina Alta region crash together like limestone waves on a stormy ocean. Scores of shattered peaks and yawning gorges guard sunny inland valleys filled with orange and lemon groves, vineyards and steep terraces of almond trees that blossom candyfloss pink in January and February.